With 46 days before moving, we rapidly scale back our possessions, reducing to critical-items only. It means selling off a lot, including a couple cars. 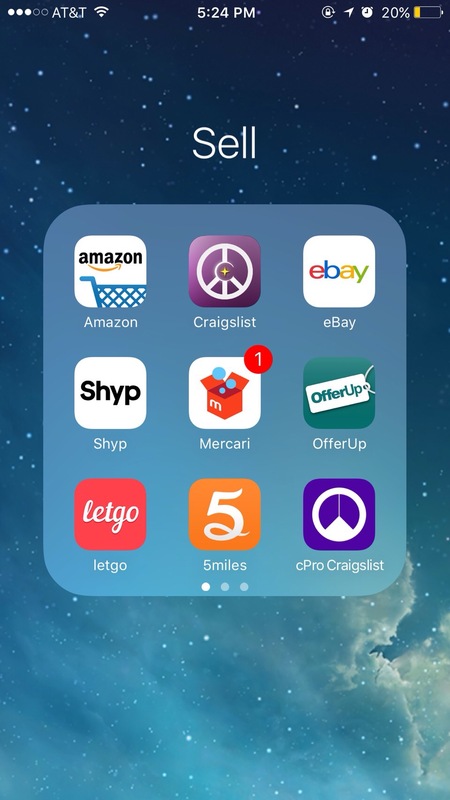 We’re going this via a number of platforms… Craigslist, mobile apps, auctions and specialty websites. I have to say, I think we’re getting rather good at it. There are a few messages which I believe to be big red flags, warning you to avoid business with some people. After all, your time is precious. Why waste it on someone who has immediately identified themselves as not-really-serious ? While this isn’t a 100% deal killer, it’s certainly not very classy right out of the gate. For one thing – it’s none of your business why i might be getting rid of something. For another thing, you are hinting that there may be some hidden information about the item. I don’t mind this question once money is changing hands, but as your first question – this gives off a bad vibe. Their first message offers you 50% or less than your asking price. Hold on! I’m all about the bargain, and haggling, and being flexible with pricing. Actually I recommend asking for least 20% more than your intended sale price. But what i’m talking about is a specific type of buyer. By offering half price immediately, they identify themselves as someone who is immature or inexperienced in business dealings. Not only are they showing lack of respect for your perceived value of the item, but they are basically saying: “I care so little about the nuances of this transaction, that I probably won’t even show up to buy it – at any price.” Will I sell for half my asking price? Sure – on occasion. But there is a correct path of negotiation to get there. RECOMMENDED ALTERNATIVE TO BUYER: Ask a seller what his lowest acceptable price is IF they are able to come and get the item immediately with cash in hand. There is value in a buyer who can take immediate action – and this can be used to an advantage. There are many ways to get more detail from a seller. This is not one of them. If there was something wrong with it – I would state that clearly in the description. So when you ask this as your first question, you tell me that you don’t believe or trust my description. Not the best foot to start out on, right? This kind of attitude reveals a personality that will agree with you on a price, and then “find some problem” with the item in order to try and reduce their cost later on. Always try to agree on a set price before the buyer comes to get it. RECOMMENDED ALTERNATIVE TO BUYER: Engage in conversation and ask for additional descriptive details. Ask specific questions. Are there any visible scratches? Does it power on normally? When was the last time you used it? As the seller you have the ultimate power, the power to say “no thanks”. You will be surprised to see how quickly some people’s minds will change when you are willing to walk away from a sale. Never feel pressured into giving things away . Sometimes you will sell things for a bit less than you would have liked. Sometimes what you get will surprise you. But overall, this can be a profitable and fun venture for you!